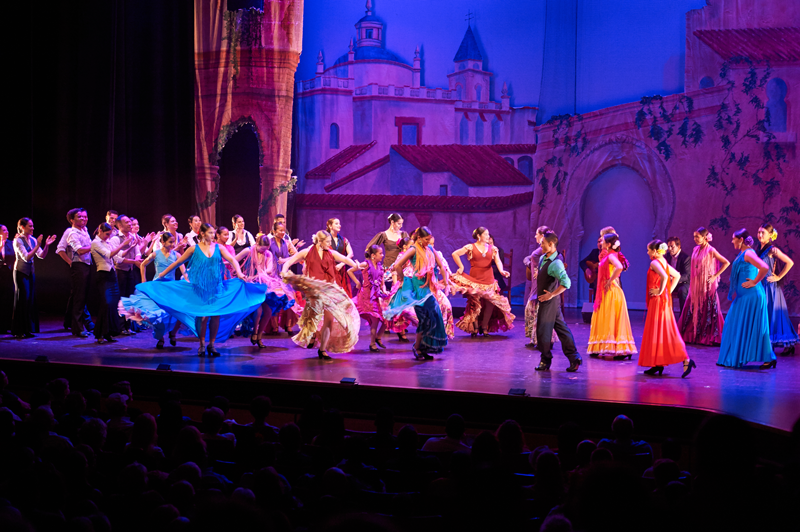 The Paso a Paso Arts Education Programs provides multi-formatted instruction in the three styles of Spanish dance, including Flamenco, folkloric, and classical to young students and dancers, stressing the historical, cultural, and creative contributions of Spanish dance to the arts. Separated into three programs, Paso a Paso allows parents, students and teachers to select those programs that are most suitable for certain age groups and skill levels, and provides flexibility in tailoring these programs to the time, space, and availability needs of schools and organizations. The Ensemble Español presents over 100 Spanish dance educational programs and residencies throughout Chicago and the United States. Over the past three fiscal years, the Ensemble Español has served nearly 80,000 young students throughout the region. This is a cultural and educational event your students will not want to miss!